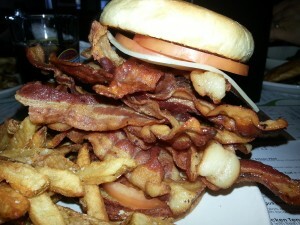 The Big BLT at Local Tavern is a sight to behold and a feast to devour. This professional grade sandwich contains a full 1/2 of delicious bacon. As you may have noticed I subbed in cheese for the obligatory lettuce leaf. No need for greenery here! 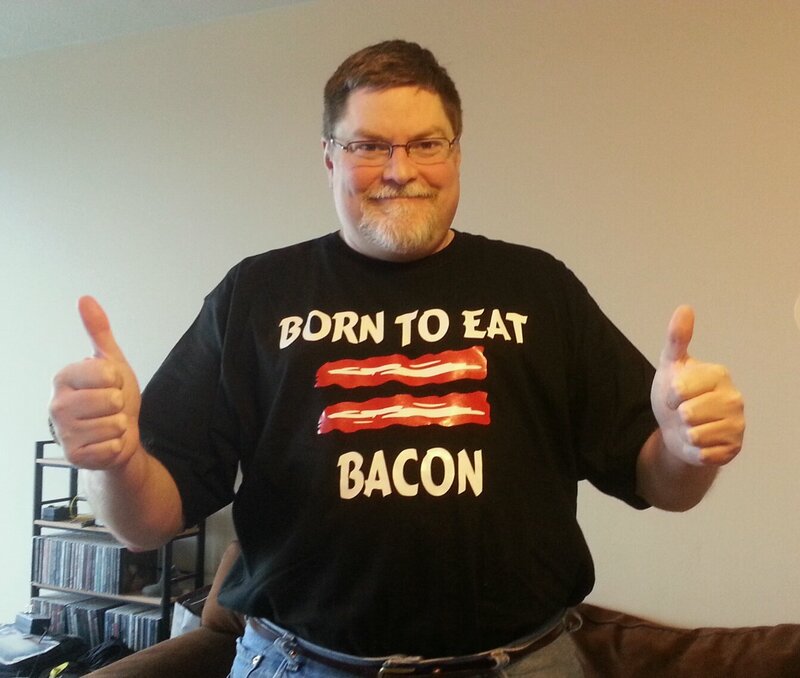 The combination of this sandwich, and a shirt my son had made for me with “Born to Eat Bacon” printed across the front were the driving influences behind this sight. 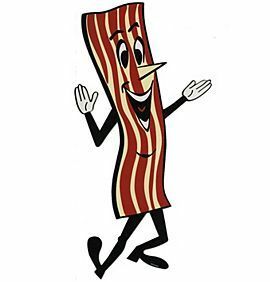 This totally frivolous bacon based blog you now find yourself reading. I still like spinach and prunes in addition to bacon, beef, chicken, and cheese though.